From the freshly redesigned layout, to Smart Reply and the newly launched Smart Compose, Gmail is making the way we use email smarter. Back in the spring, G Suite users began receiving notifications about the new Gmail layout and upcoming launches of Smart Reply and Smart Compose. The features were rolled out in phases over the last few months, with Smart Compose in its general rollout phase now. If you haven’t already toggled to the new layout, take a moment to check it out. 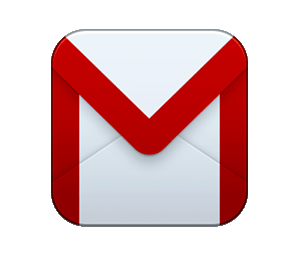 Go to gmail.com, log into your account, then click the gear icon at the right side of your inbox. Choose “Try the new Gmail.” No doubt you will find this crisp white version quite different, but you can easily customize it if it’s a little too different for you. I like the new design but changed to a cool, blue-gray theme as my inbox background. It is easier on the eyes, since they spend a good bit of time in my inbox. You’ll also notice added buttons and hover functions. Take a look at the right sidebar of your inbox or Calendar. Notice that you can click on the Calendar, Google Keep, or your Tasks icon from any of the Google applications, making data even easier to access while you’re working. Hover functions are popular across all Google applications. Google is putting them to good use in Gmail with the ability to view/download images without having to dig around a long email conversation. Archive, delete, and mark messages as read simply by hovering over the message. Need a reminder to follow up or reply to an email? Gmail will “nudge” you by boosting the email to the top of your inbox and asking you if you need to reply. If Gmail recognizes an email that is also an invitation, you’ll have the option to RSVP and add it to your Calendar. Save time with Smart Reply. “Sounds good!” “Thanks!”, “I’ll look into it and get back to you” are just a few examples of the automated replies offered in Gmail. The replies are linked to the email message received. Some of the replies are a bit short or may be too informal for the recipient, but they are a nice springboard for getting your reply started. I personally love this feature on my Gmail smartphone app. With just a couple of taps, I’ve responded to my contact and trained Gmail to remember my response for future emails that may have similar content. Most recently launched in Gmail is Smart Compose. Much like the Smart Reply options, Smart Compose sees what you’re typing and predicts words to assist you in completing your sentences. The more you use it, the smarter it gets. Many users are familiar with this feature in their smartphone’s messaging app. If you’re like me, you probably send many emails that contain repeated sentences or even full paragraphs. Smart Compose will remember phrases you’ve typed in the past and offer them as suggestions. To use the suggested word or phrase, just hit the tab key on your keyboard. If you’d like any assistance adding/removing settings, reconfiguring your inbox, or just learning more about new features, please let us know by sending an email to support@connectech.us or call (916) 972-9000.